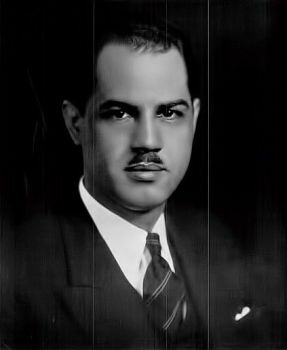 Hubert T. Delany was one of the first appointed African American judges in New York City in the early 20th Century. The son of a former slave and prominent cleric, Bishop Henry T. Delany of the Episcopal Church, and Nanny J. Delaney, a St. Augustine’s College instructor, Hubert T. Delaney was born in Raleigh, North Carolina in 1901. He graduated from City College in 1923 and received his law degree from New York University in 1926. That same year he married Harlem Renaissance figure Clarissa M. Scott. The two were married just a year before Scott died from kidney disease. In 1929 Delany ran for New York’s twenty-first congressional district in the House of Representatives. The Republican lost with merely thirty-seven percent of the vote; however, he came out of the race having gained the friendship of Mayor Fiorello H. La Guardia of New York. In 1935 Mayor La Guardia appointed Delany to investigate the series of riots that occurred in the city. On September 24, 1942 Mayor La Guardia performed the marriage ceremony for Delany and his second wife, Willetta Mickey. In 1942 the mayor appointed him as Justice of the Family Court where he served until 1955. In those thirteen years he built up a reputation for having humane rulings, as well as advocating civil rights. Admirers cited the understanding and delicacy with which he approached his cases; detractors labeled his understanding as too “liberal.” Those “left-wing views” were cited for why he was not reappointed in 1955, despite being backed by several bar associations. The New York Times claimed that Mayor Robert F. Wagner declined to reappoint Delany because he held communist views; Delany believed he was not reappointed because he spoke out for civil rights and against second-class citizenship. Mayor Wagner’s decision sparked a level of protest by both the National Association for the Advancement of Colored People (NAACP) and the Urban League. Delany was a member of both organizations. That same year Delany experienced second-class treatment at the Statler Hotel in Hartford, Connecticut. The hotel refused to accommodate him, despite his reservation, on account of his race. The staff instead offered him the use of a cot in a meeting room. In 1963, Governor Nelson Rockefeller appointed Delany to lead a five-man commission to study New York’s low-rent housing problems. The commission was given all the powers of a legislative inquiry including compelling the attendance of witnesses and the subpoena of records. It was through commissions such as these, as well as 0ther means, that Delany was able to fight for the end of second-class citizenship and support improved and integrated housing and education. In addition to his post on the domestic court, Delany served as the New York State Tax Commissioner, an assistant United States Attorney in the criminal division, and ran his own law practice. Delany was also a longtime board member of the NAACP Legal Defense and Education Fund which was a separate organization from the NAACP. Hubert T. Delany died on December 28, 1990 in New York City from heart disease.